Viet Solar is hiring: technicians and sales men working in these states such as North Carolina, Nevada, New Jersey. Send your resumes to info@vietsolar.com . 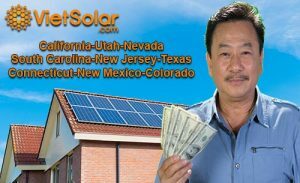 New customers can call 1-855-5Vietsolar to talk to a solar consultant. « How TO Claim 30% Solar Tax Credit ITC.